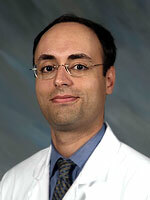 Dr. Iman Naseri is an assistant professor Department of Surgery, Division of Otolaryngology at University of Florida. He completed his MD at Medical University of South Carolina College of Medicine, Charleston. He specializes in Otolaryngology and Rhinology. Iman Naseri’s research is in Sinonasal disorders, allergy, minimally invasive endonasal approaches for paranasal/anterior skull base tumors, thyroid disorders, obstructive sleep apnea, head and neck oncology, upper airway disorders. Sinonasal disorders, allergy, minimally invasive endonasal approaches for paranasal/anterior skull base tumors, thyroid disorders, obstructive sleep apnea, head and neck oncology, upper airway disorders.